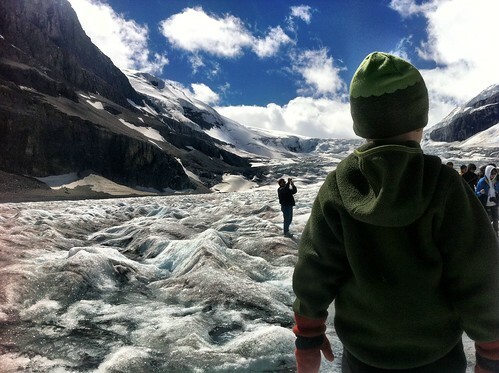 At about 3 1/2 hours non-stop from Calgary, few would call a visit to the Columbia Icefields a daytrip from Calgary, (and it wasn’t the intention for us, but when you bring the wrong tent poles, camping is out of the question). 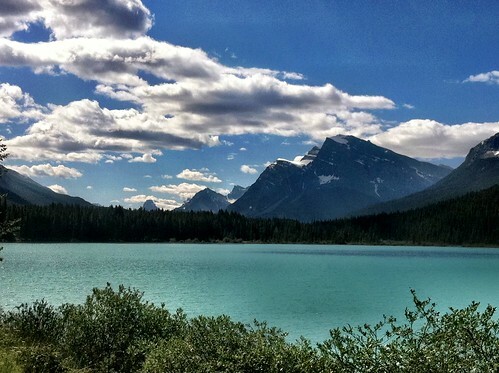 Officially, the 308km drive from Calgary to the Columbia Icefields is listed at closer to 5 hours, and that adds up all the time you’ll want to take to stop along the way. 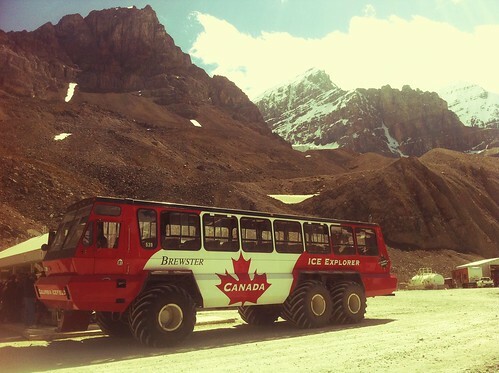 The Icefields Parkway is filled with stunning scenery and features pullouts every few kilometres to give the driver a chance to stop and stare at what the passengers have been oohing and aahing about during the ride. 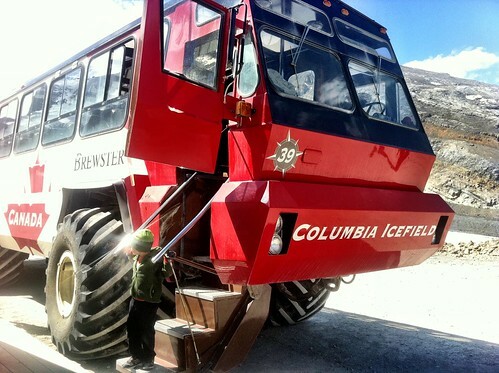 Admission for a 90 minute snow truck tour of the glacier is $49.95 for adults, or $24.95 for kids. 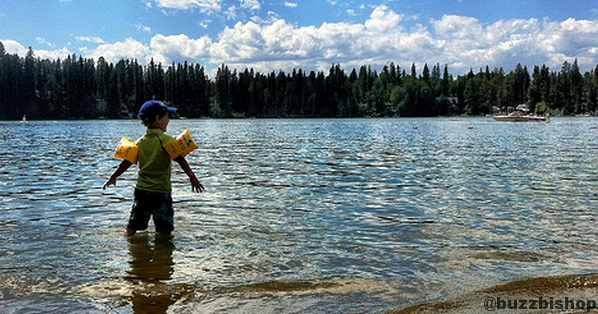 Explore Rockies has a great summer promo where you can promise to Unplug & Explore and score free tickets for the kids to take this or a number of other adventures in the mountains. You can also book hikes up the glacier that start at the toe and take you to the headwall. 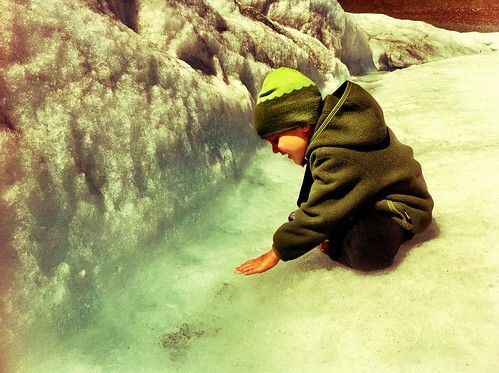 The trek on the ice was really all about the truck for my son. For the past 30 years these beasts have been clawing their way on to the surface for people to explore and sip some of the purest water on the planet. 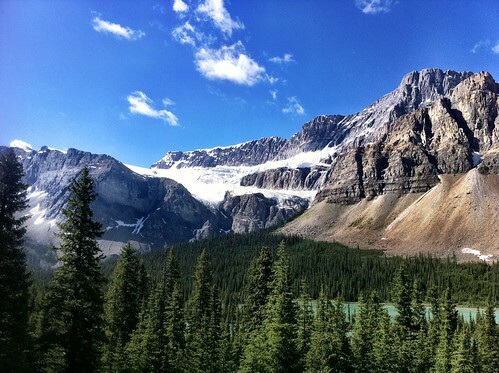 If you don’t want to make it a daytrip, you can stay at The Glacier View Inn and the towns of Jasper and Lake Louise are just an hour or so drive north and south from the centre. 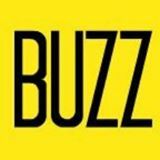 You can also camp near the Columbia Icefields with Rampart, Wilcox Creek and Columbia Icefield campsites all close by. If you’re camping you’ll want to bundle up because you’ll be at nearly 7000 ft of elevation and the temps can hover near 0 even at the end of July.